Remember the old freezers? They were certainly useful for long-term storage of meats, vegetables, and other foods, but they weren’t at all attractive. Some were chest types and others were uprights, and they were available in any color you wanted, as long as you wanted white. 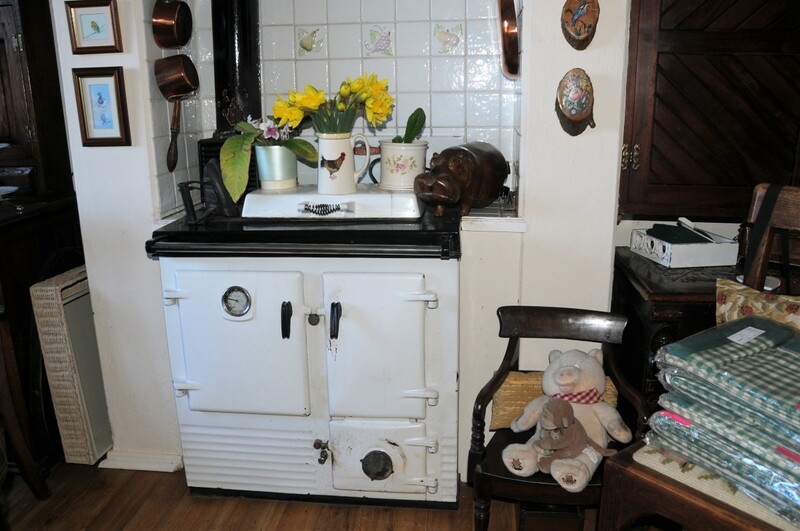 They were often stuck in a basement or utility room because they didn’t exactly enhance the looks of the kitchen, and besides, they took up lots of valuable kitchen space. When you needed something from the freezer, you’d have to make the trip to the freezer to fetch it. Thankfully, modern homeowners can have the best of both worlds – a freezer that’s very functional and one with good looks. Both are possible with the under counter freezer. What’s an under counter freezer? An under the counter freezer is a freezer that fits into your kitchen cabinets, under the counter top, much like a built-in dishwasher. They’re real space-savers because they don’t need rear ventilation space like older models. Under counter freezers generally come in widths of 15, 24, 30, or 48 inches, but even larger models are available. Some of the under counter freezers are in the form of slide-out drawers, which are extremely convenient for reaching items at the very rear of the unit. An under counter refrigerator freezer is also available. An under counter fridge freezer provides both refrigerator space and freezer space, and some are equipped with ice makers. The undercounter refrigerator freezer is often used in addition to an upright refrigerator without taking up extra floor space in the kitchen because they’re built into the cabinetry. An under the counter freezer or under counter refrigerator freezer is great for kids in the house. Even small children will be able to reach snacks and beverages. They’re also useful for storing sale items. You can buy in bulk, divide the meat or produce, and store them in your extra storage space. Under counter freezers are modern appliances with the latest energy-saving technology. They have superb insulation, and most use a standard 110 volts instead of the 220 volts required by older models. Also, some models of under counter freezers can serve as stand-alone units. These appliances are fitted with small wheels, so the freezer can be rolled anywhere easily. Also unlike the traditional freezers of old, these new undercounter freezers and under counter fridge freezers come in a variety of colors and finishes to match your existing appliances. If you have a fully integrated kitchen, you can opt for an integrated under the counter freezer that has a door panel that’s made to match your cabinetry. Under counter freezers are amazingly functional. With one of these installed, you’ll have all the items you need at your fingertips instead of having to make a trip to another part of the house to get what you need when preparing a meal. They’re especially useful when entertaining, too, and they provide extra space for all those leftovers that you don’t want to throw out. 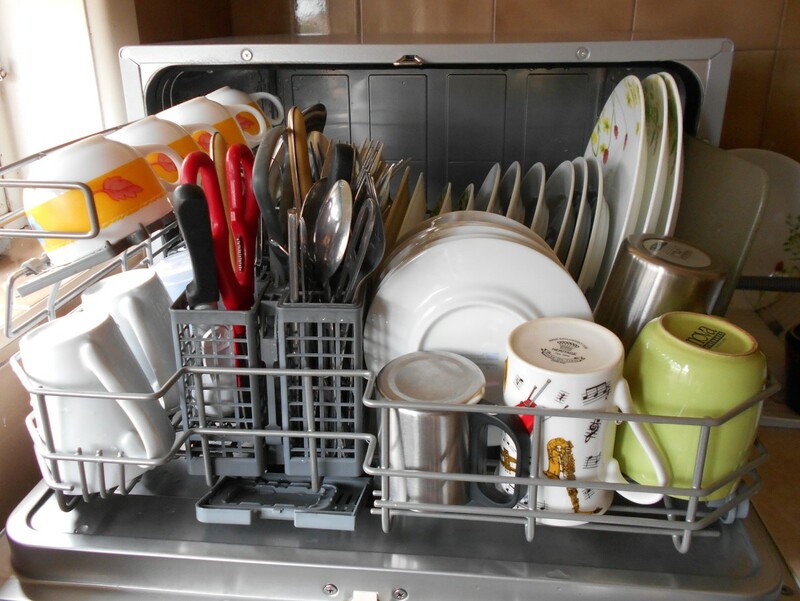 You’ll probably find that these useful appliances will help you save money in the long run! 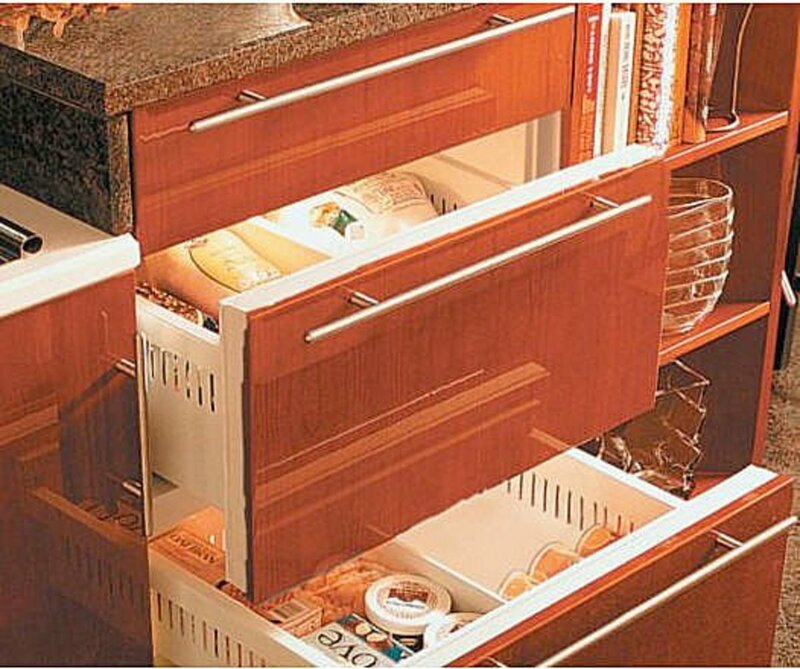 Under counter freezer drawers are extremely convenient! What brand is the one that you show with the wood trim doors? I've been looking everywhere but all I can find is stainless steel restaurant type undercounter freezers. Thanks! Hi, Jen. I'm thinking of adding one to the kitchen. I don't have an under the counter freezer, but I sure would like to one day. One of my friends has one and I just love it! Not only is it really convenient and functional, I like the way it blends in with the cabinets! Sis, we just re-did our kitchen, and I can't believe we didn't put one in. I might just have to make hubby add one now! Thanks for reading and commenting, Polly! wouldn't that be cool, Ann?? Right, Cay. Wish I had had one when my kids were small! True, Veronica. Back when I was married to a farmer/rancher, I filled two freezers every spring and summer! Hi, Ehern. Glad you stopped by! Hi, HH! How are you, girlfriend?? Hi, Sheila. Sorry about your daughter's appliance woes! Nancy, some home improvement stores have them, but you might find one cheaper online. Ictodd, they work great in small kitchens! My kitchen isn't that old, but now you are making me want to re-do again! Sounds great, getting the uglies all hid away, and making more room. These are great. Someday when I build my dream kitchen I'll get one. I want one...in my room! LOL Great hub Habee!!! 9 years ago from America. This would be good for hiding away little snacks and goodies for the kids. I think this is such a great idea! 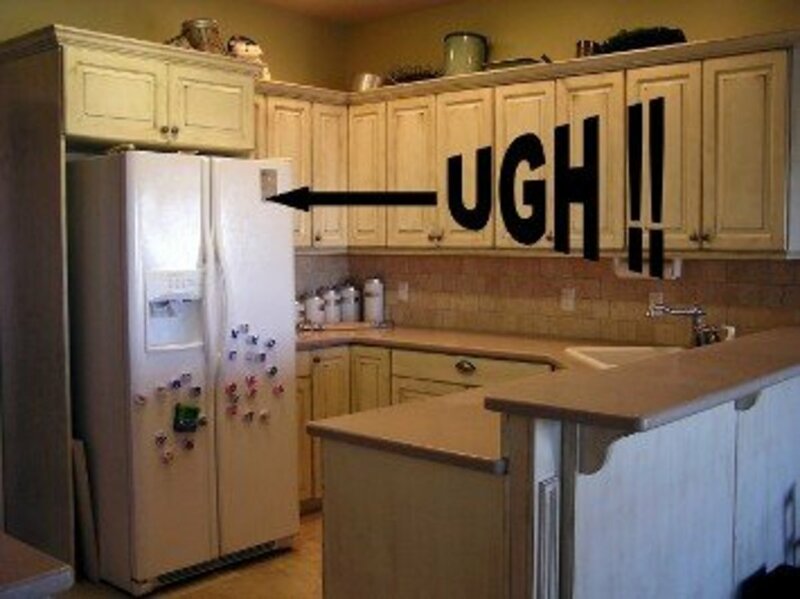 I've always hated those big and bulky freezers - although at times they are a necessity. These are awesome. Some stand-up refrig-freezer combos now come with drawer like freezers too. Guess when our new firg goes, the next one will be one of these..
That looks lovely. Thank you for a very informative hub. This is new to me, but a good idea. By the way, my daughter-in-law just told me her new freezer, purchased three months ago, isn't working, and she was told a repairman won't be able to check it until 2 days from now. Funny thing is, we were talking a couple of weeks ago about refrigerators when I was a little girl and how they're still around, in cottages and such. I love modern things, but I wish they were also reliable. Thank you for this information. I've been wanting to buy a freezer but didn't know where I would put it. I think I could probably fit this into my kitchen. I didn't even know they had freezers like this. Can you purchase them at any home improvement store or do you have to special order them? I would love to have one. I would have to redo my little kitchen though. It would be so convenient and be really neat to have. Thank you for telling us about them. Habee, this is great. Wish we had the room, maybe one day, Jane would love it.